Unite members at Centrepoint are celebrating a successful pay negotiation which will give members an above-inflation increase after they rejected the original offer from management. Centrepoint, despite publishing a very healthy surplus in their 2013/14 financial statement, offered just 1.5% to members. 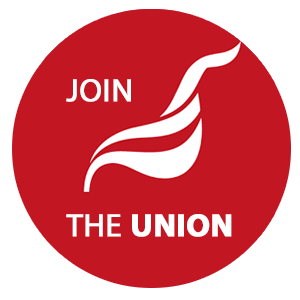 The union organised a ballot during which members rejected this offer. The feeling among members was this is an inadequate recognition of the contribution members have made to Centrepoint's success, and Centrepoint management have now raised the offer to 2%. Following a second ballot members have accepted the offer. "Without a union presence at Centrepoint this pay rise would not have been possible. Management would have offered 1.5% and staff would have had to accept because without the union staff would have no opportunity to negotiate. With more members this time next year we hope to achieve another decent pay rise for the hard working staff that make this organisation what it is. Join Unite and turn that hope into reality"
For further information about Unite at Centrepoint, please contact the Regional Officer, Adam Lambert.